Nothing beats fried chicken. Nothing beats that salty, crispy batter, and hot, juicy meat. In fact, I find myself zoning out at least twice a week, daydreaming about golden poultry perfection. 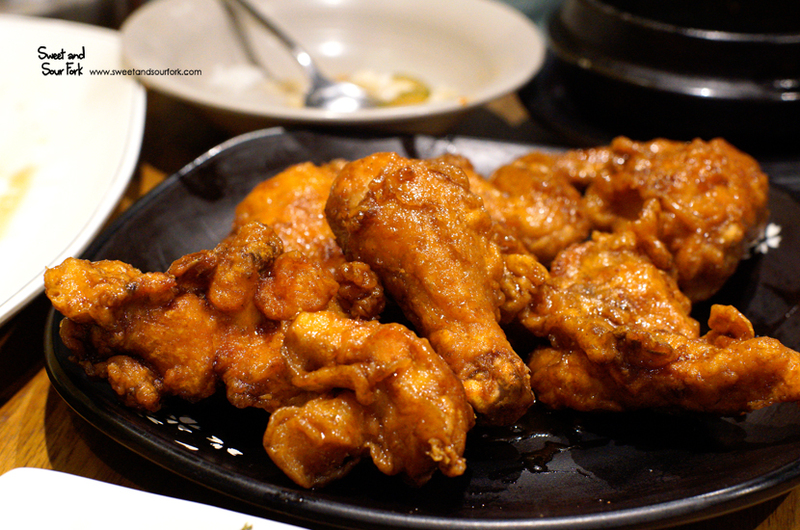 Yet when it comes down to it, I have fried chicken remarkably infrequently, finding it hard to bring myself to have a meal of nothing but salt, meat, and fat. So when I do finally give in, it is a big event in my calendar, and I spent the entire day leading up to dinner at The Sparrow’s Mill salivating over the meal to come. 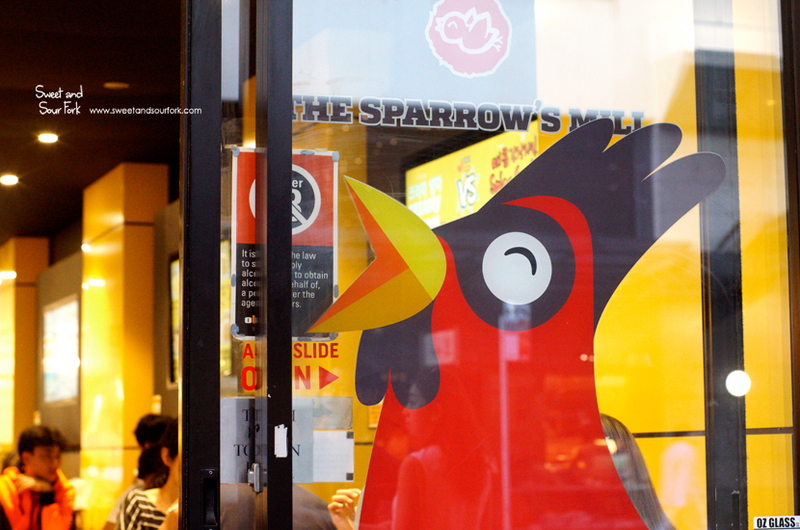 The Sparrow’s Mill is a Korean restaurant, but its real drawcard is its self-proclaimed Incredible Chicken. There are 13 varieties on offer, from the basic variety all the way to unique concoctions such as creamy onion and snow cheese. 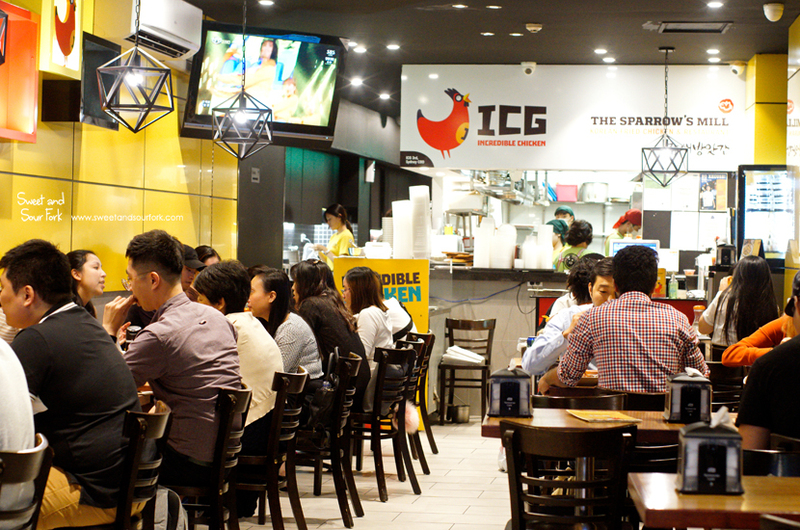 The décor is in cheery shades of red and yellow, giving the restaurant a bit of a fast-food feel. But that’s not necessarily a bad thing, especially when fried chicken is what’s on the agenda. Carefully treading the line between classic and boring, I decided on the Garlic Soy Sauce Chicken ($18, half). It was good stuff, the batter thin, crisp, and even, infused with a sticky glaze that gave it flavour without making it soggy. The meat wasn’t as juicy as I had hoped, but still passably tender. Pieces of cabbage and daikon pickles keep the palate refreshed between greedy bites. Buckling under self-imposed pressure, I ordered the Grilled Flatfish Meal ($18) in order to make things seem more like a proper grown-up’s dinner. This turned out to be extremely satisfying and nourishing. The fish was firm and pearly, the skin burnished to a crisp by the heat. It was rounded out with a robust soybean paste stew, a bowl of rice, and a selection of banchan that made my poor Melbournian jaw drop (but seems pretty normal for Sydney). The kimchi was on point – tart and crispy – and I can never resist a second helping of the fish cake. 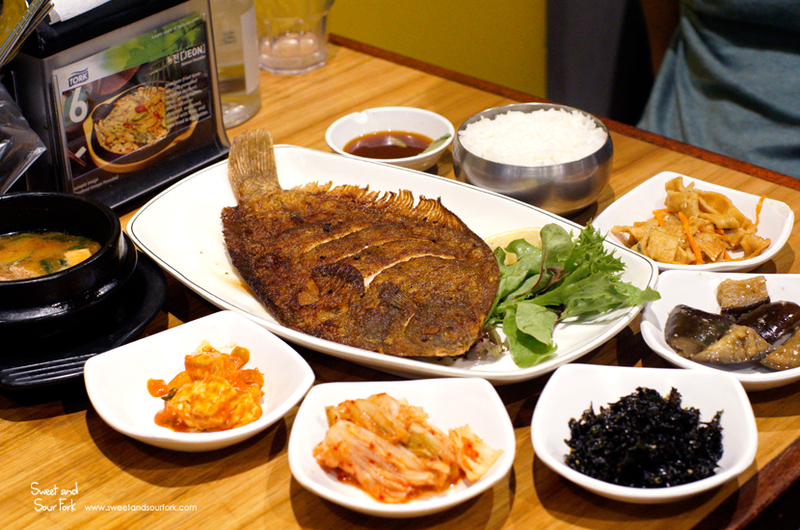 My suspicion that the Korean food in Sydney is better than Melbourne is getting stronger. Although I can’t quite put my finger on what exactly made it so, I found my meal at The Sparrow’s Mill (and earlier, Sydney Madang) to be that much tastier than most of the Korean meals I’ve had in Melbourne. I also have a suspicion that there may be better fried chicken to be found elsewhere in Sydney, but I’d more than happily come back to The Sparrow’s Mill. Rating: 13/20 – the only kind of KFC i’ll eat.